On behalf of the RCT board of directors, I am excited to announce auditions for our 2019 September show!! This will be a Berks County premiere of a Tony nominated musical, one filled with amazing and well known music! Due to contractual restrictions, I am unable to mention the show. Our opportunity to journey to an island and begin this awesome experience begins with auditions scheduled at 7 for Monday, April 22nd, Tuesday, April 23rd, Wednesday, April 24th and possibly Thursday, April 25th. Perusal where materials will be distributed to any interested auditionee will take place on Thursday, April 18th at 7 at the RCT hall at 126 North Tenth St. Contact Jeannette DeAngelo, Director, with any questions at jmbway@aol.com. As we begin the new year, we have a few questions for you…. Are you itching to perform a BERKS COUNTY PREMIERE?! Would you love to perform in a large, several hundred seat theatre?! 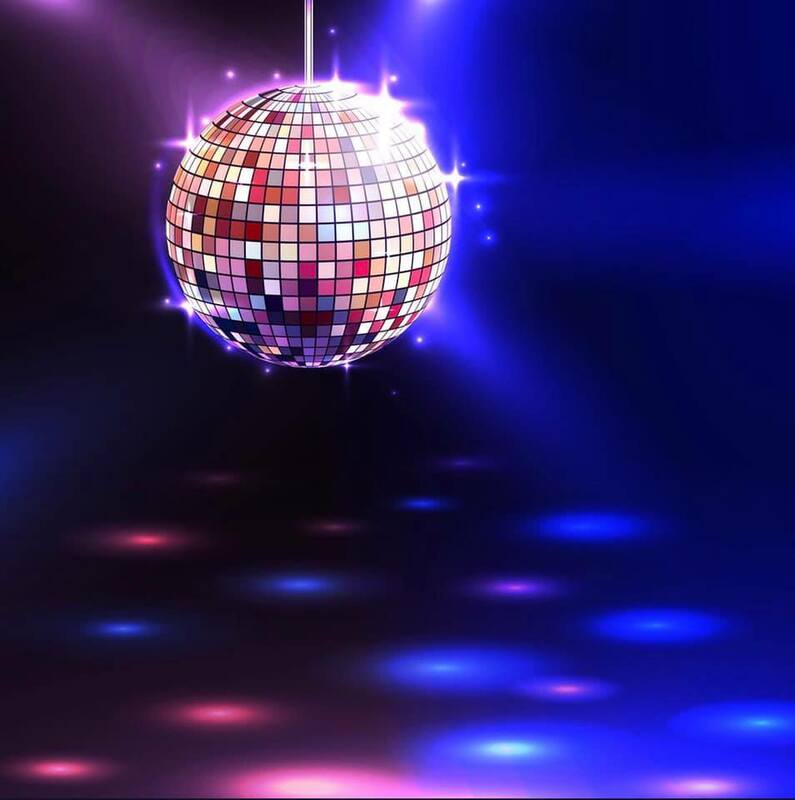 Lastly, are you a disco lover?! 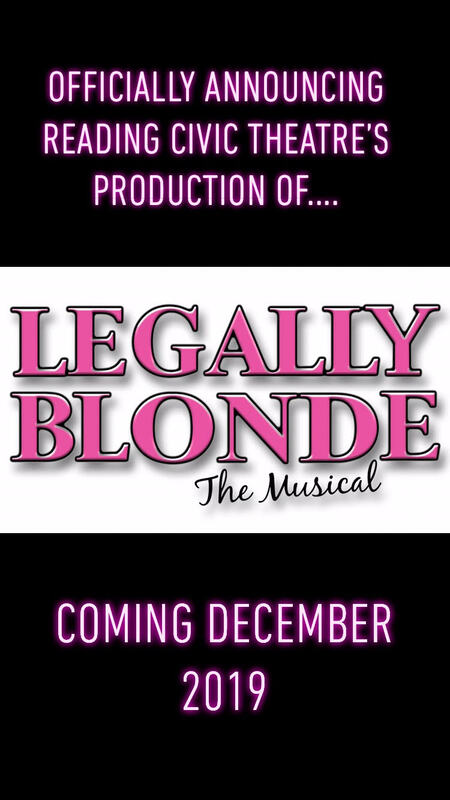 As we begin the new year, Reading Civic Theatre would like to remind everyone that we will be performing a smash hit production of a newly released, Tony nominated Broadway musical, this September! Due to contractual restrictions, we cannot release the name of the show, but suffice it to say the story and the upbeat music is a favorite of more than just the theatre community! Audition information will be forthcoming! Check out our Auditions Tab in the Spring for more information. THEATRE TRAINING CLASSES TO BE HELD……. Angela DeAngelo-Erkert is an actress with years of professional, performance experience. She received a bachelor of arts degree, from Muhlenberg College, where she studied theatre and dance. She also loves to choreograph and does private acting and dance lessons, as well. She is eager to run a 6 week theatre/dance intensive to share her performance knowledge with upcoming, future artists. The 6 week course is structured in a way that would alternate between theatre knowledge courses and learning dance routines. Is it important for kids, of all ages, to understand acting fundamentals, have a knowledge of audition standards, know how to act a song, learn how to take risks and think quickly on your feet, as well as to learn a dance routine in a quick amount of time. Each course will be an hour long and will be held Sunday afternoons from 2:00 pm to 3:00 pm. Class Price Info: If you pay for all 6 weeks you get a discount! If you take all 6 courses, you only pay $100! Otherwise, each individual class is $20 per student. Classes will be open to kids ages 8-18. Some classes will require you to prepare and/or bring materials to the course. Please be aware that the courses will ONLY run if there’s a minimum of 10 students per class. If you intend on doing the package with all 6 classes, the deadline to sign up, and to pay for the classes, is the 17th of February. If you’d like to choose which weeks the student will be attending, the sign up, and pay due date, is one week prior to the class date. Reading Civic Theatre is also offering an ADULT mini-camp session!! If you are 18 years of age, and older, and have a yearning to dive deeper into theatrical knowledge, come out and have fun with Angela.! The three camp sessions include: Acting 101, Audition Prep and improvisation! The classes will be held three consecutive weeks, from 3:30-4:30 pm on March 10th, 17th, and 24th! Pricing structure is $20 per course or all three for only $50!!! Sign-ups, along with payments, are due by February 24th for all three courses. Or one week in advance for any individual courses. We hope to see you there!!! Contact Angela DeAngelo-Erkert either via text at 610-451-9523 or email a.deangeloerkert@gmail.com. Checks should be made payable to Reading Civic Theatre and should be sent to PO BOX 186 Reading, PA 19603. Please note that all income from these classes go to support the operation of Reading Civic Theatre. RCT has made arrangements with two different shopping networks to generate money toward support of the organization. If you use Amazon to buy products please use the link at the right hand side of the page. If you prefer a different shopping network please use the second link on the right hand side of the page OR try both out and use the one you like. Any purchase through either site will generate a portion of the purchase price to RCT. Thanks for using these shopping sites to support RCT. Did you hear that some of Broadway’s biggest shows are coming to the Santander Performing Arts Center in Reading, PA? We can save you money on your ticket purchase! Use the link on the right hand side of the page – SPAC Fund Raiser for RCT – and for each of these shows, you will save on the costly per-ticket convenience fees found online and a portion of all tickets purchased will go back to support the work of Reading Civic Theatre. Shows available include Straight No Chaser, Elf the Musical, Cirque Dreams Holidaze, Evita, Rodger’s and Hammerstein’s Cinderella, Rock of Ages and others! Please enjoy these shows at the SPAC and purchase your tickets through the web site on the right to provide a portion of your ticket cost to RCT. Thank You in advance. Please look at the CURRENT SHOW tab for updated information about our 2019 show season. Please see the Community tab under ABOUT US for the upcoming show schedule for members and local theatre groups.